Philip Sovereign came to the Twelve (later named Bronte) from the New York area in 1814. Upon arrival, Philip purchased a plot of land from the Mississauga Natives along the western bank of the Twelve. 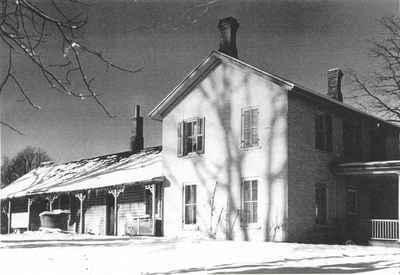 In 1815 Philip had the first log school house built on his property where his son, Charles Sovereign, would teach at the age of 17. As early settlers in the area, The Sovereigns, along with other notable families like the Belyeas, became directly involved with the shaping of Bronte as a town. Philip’s son Charles would continue to be a leader in the community by becoming Justice of the Peace. 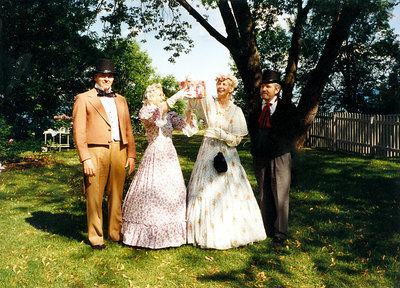 As a prominent and visible member of the community, Charles was suited to be part of the Bronte Harbour Company as the company's secretary (Brimacombe 7). Individuals interested in the heritage of Bronte are fortunate to have primary sources from Charles Sovereign who kept a daily journal recording everything from daily events, finances, local news, gossip and Biblical verse (7). One entry mentions the Cholera outbreak in 1854 which resulted in many deaths (Mathews 237). Also noted in Charles’ journal was July 1st 1867, the day that Canada became a nation (Blair 18). For those interested, the journals are now housed within the Archives of Ontario and for those not wanting to make the trip to Ottawa; a complete duplicate can be found at the Bronte Historical Society. 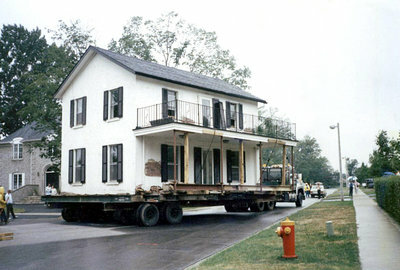 The founding members of the Bronte Historical Society, Bob Koolen, Donna Hill, and Walter Allen, together with the Town of Oakville, were able to raise enough funds and save the original part of the Sovereign House from demolition in 1988. 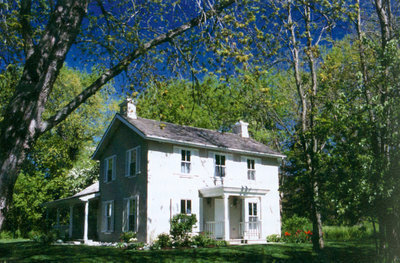 The Sovereign House became the headquarters for the Bronte Historical Society and is the oldest surviving house in Oakville. The Bronte Historical Society not only preserves local heritage but they also support local artists. Bi-weekly art exhibitions are held throughout the summer at Sovereign House. Sovereign House is open to the public from 1-4 on Wednesdays, Saturdays and Sundays. 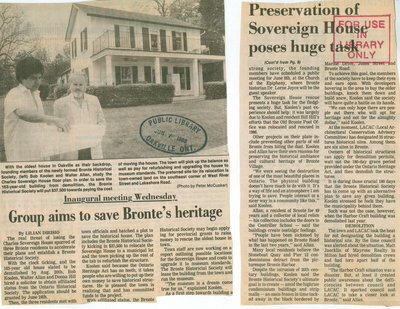 The Bronte Historical society holds events between the months of May and October when Sovereign House is open. A popular annual event is 'Tea on the Bluffs' where people can come out and enjoy Sovereign House in its scenic location while drinking a good cup of tea. 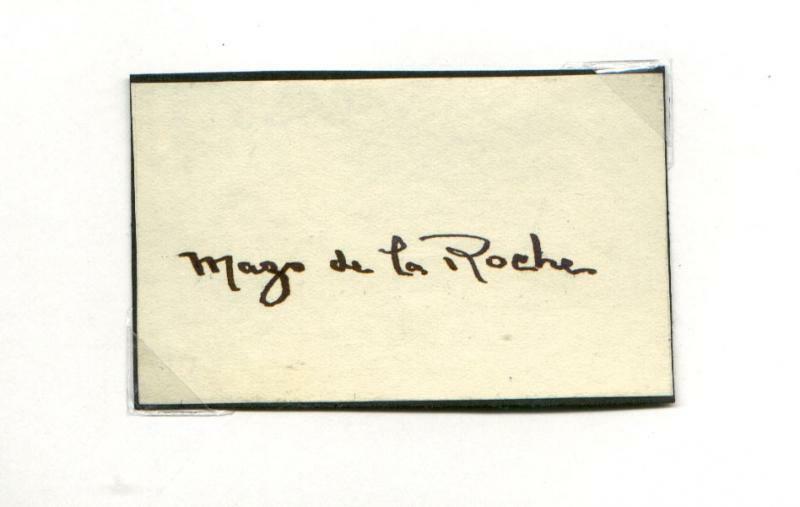 Fun Fact: Novelist, Mazo de la Roche and her family rented the Sovereign House for five years. Many of her novels and short stories were directly inspired by Bronte and its citizens as well as the surrounding area. In particular, Mazo's novel Possession contains many characters and events that were drawn from her actual encounters in Bronte.